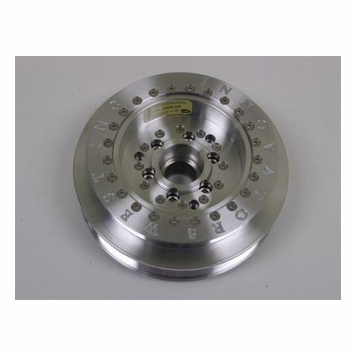 Innovators West now offers a complete replacement balancer for the 2007-2014 5.4L & 5.8L Shelby GT500. 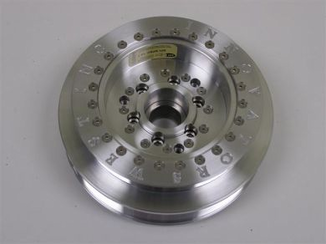 Ford redesigned the factory balancer for 2008, making it much lighter than the 2007 unit. This Innovator's West unit is even lighter than the new 2008 part. The supercharger drive section of the pulley is enlarged in diameter by 10%, for a 3-4psi increase in boost. 10% OD balancer requires slightly filing of casting for clearance. This lower pulley adds 4lbs of Boost and includes a new crank bolt.